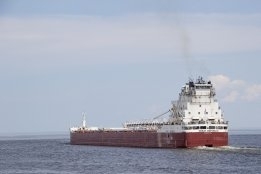 Dry bulk shipping operator Star Bulk has ordered 22 scrubbers for its ships. The equipment, which allows ships to meet the International Maritime Organisation's (IMO) 0.5% sulfur cap rule but still use heavy fuel oil, will be installed on the company's bigger ships. In an earnings conference call transcribed by the Motley Fool, company chief executive Petros Pappas said: "We have also ordered 22 scrubbers destined mainly for our bigger vessels, and we'll see what will do thereafter." The company has one scrubber already installed on a ship with another currently being installed, Pappas added. Pappas said the company supports the IMO regulation "because it makes our life more difficult" and, by the same token, he said that makes it difficult for newcomers to enter the market. "We're fine with who we have as competition. We think that these environmental regulations are going to be good for our business," he said. Following recent acquistions, Star Bulk commands a fleet of over a 100 ships.